Ocado has revealed its sales were blown off course by the so-called "Beast from the East". The online grocery retailer said the impact of "adverse weather conditions" was equivalent to nearly 1% of its £363.4m retail revenues for the 13 weeks to 4 March, while it put a £1.5m dent in profits. Sales were still 11.7% ahead of the same period last year, but the rate of growth was slower. Shares (Berlin: DI6.BE - news) fell 2% in early trading - though later recovered much of the decline to close just 0.7% lower - as Ocado also revealed that while prices had risen, this was offset by customers ordering slightly fewer items per basket. Chief (Taiwan OTC: 3345.TWO - news) executive Tim Steiner said the business had been "impacted by the winter storms that caused widespread disruption during the final week" and thanked staff who delivered nearly 300,000 orders "often in the most trying conditions". Finance director Duncan Tatton-Brown said: "We saw a big drop in the number of orders fulfilled - tens of thousands." In the trading update, Ocado said it was on track to open its fourth and biggest distribution centre in Kent in the middle of the year, which will be able to handle an extra 200,000 orders a week. It also said it was confident of agreeing more international tie-ups after signing recent partnerships in Canada and France. George Salmon, equity analyst at Hargreaves Lansdown (Frankfurt: DMB.F - news) , said: "The Beast from the East has done its best to freeze progress this quarter, with disruption from the cold snap seeing the group lose close to £4m in sales. 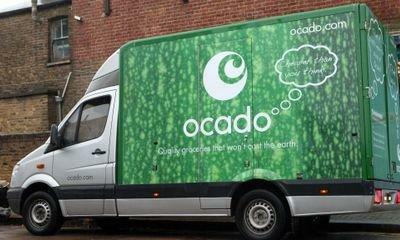 "However, there’s no getting away from the fact recent months have been transformational for the online supermarket."